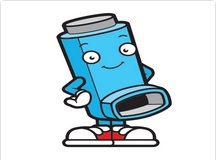 Description : Asthma is chronic lung disease that inflames and narrows the airways. Asthma causes recurrent period of wheezing, chest tightness, shortness of breath and coughing. Coughing often occurs at night and early in the morning. A safe and effective Ayurvedic treatment package for Asthama.